How do I avoid “hitting the wall”? Hitting the wall is when your body has depleted all glycogen stores and is “running on empty”. To help prevent this, start taking on energy early during the race. Athletes often make the mistake of waiting until they’re tired before they start taking on energy. However, the body always uses more energy than it can possibly absorb. Take your first SiS GO Isotonic Energy Gel after 20 minutes and continue feeding 60-90g of carbohydrate per hour (1). This will help ‘top up’ your energy stores throughout the race. In the days before your marathon your training should taper, but carbohydrate intake should increase as part of a carbohydrate loading schedule. This involves taking in 8-12g of carbohydrate per kilo of bodyweight per 24 hours for 2 days (2). Avoid high fat, high protein and spicy foods. On the day, make sure you have breakfast 3-4 hours before and include normal breakfast foods that you have had before a training run. This should be mainly carbohydrate based e.g cereals, bread, fruit juice. Do I only need gels on race day? When preparing for a marathon, it is important to remember to plan in “train as you race” days. It’s important to practice your sports nutrition plan during training to ensure that your body can tolerate it well. A good plan is to “fuel for the work required” that refers to days where you “train low” with reduced carbohydrate intake on those days when intensity and duration is not high and alternatively, plan days when you “train high” where you fully practice your marathon nutrition plan (3). This way, you’re able to see the benefits of both fasted training and training with carbohydrate intake (4). What’s the best way to recover after my run? Nutrition is one of the most important aspects of recovery. Recovery involves four main considerations; carbohydrate, protein, hydration and vitamin intake. Carbohydrate is considered the main recovery food, as this is the fuel that needs to be replaced so that you are able to go again. Protein assists muscle repair, while re-hydration helps the body’s water to return to a normal state. Taking vitamins post exercise, particularly Vitamin C and Iron can help support immune function, which is suppressed after intense exercise. Ideally, take on a REGO Rapid Recovery shake within 30 minutes of finishing tough prolonged exercise, when the muscle’s capacity to absorb nutrients is enhanced compared to resting conditions (5, 6). I’ve heard gels can upset my stomach when you’re running? The more hypertonic a gel is, the longer it can take to digest and the more chance it has to cause stomach upset. Thick gels are mainly simple sugar based, which when ingested causes a fluid shift in the gut to help it digest (this is why many companies suggest you take water with their gels. There is also research to suggest that fructose can increase the chance of gastrointestinal distress (7). To combat this, take a gel that is isotonic, like the SiS GO Isotonic Energy Gel and try to avoid large volumes of fructose during exercise. How often do I need to take gels during a marathon? Aim for 60-90g of carbohydrate per hour (1). 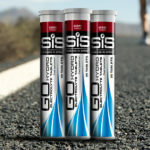 Using gels, this works out at 3 SiS GO Isotonic Energy Gels per hour. Remember; don’t wait until you’re tired before you start taking on energy. Take your first gel after the first 20 minutes. Try to combine the gels with other energy sources like that in SiS GO Electrolyte. When should I use caffeine during a marathon? Caffeine acts as a stimulant, decreasing your perception of fatigue (2). Caffeine is tolerated differently by everyone, but as a general recommendation, try to limit yourself to 200-300mg of caffeine on the day of the marathon. This could come from 2-4 75mg (caffeine) or two 150mg (caffeine) gels. Aim to consume your caffeine gel at least 30 minutes prior to when want you the desired performance effect. This could often coincide with 30-60 minutes prior to the last hour of your marathon. How much fluid do I need? It can be hard to carry a bottle. This completely depends on your sweating rate, but it’s important to avoid excessive dehydration throughout your marathon. Because hydration status and fluid intake is individual, try to aim not to lose any more than 2-3% of your body mass throughout the marathon (2, 8). Weigh yourself before and after training runs and calculate your body mass loss to estimate how much you are sweating. This usually falls around taking on 500-1000ml of fluid per hour during your marathon. This is especially important during training and racing in warm weather. Find out where your feed stations are and prepare to take a bottle! Can I just drink water throughout the marathon? Make sure you include electrolytes (such as SiS GO Hydro) in your water. To maintain hydration, we also need to maintain our blood sodium levels. We lose sodium through sweating and if we only replace our fluid losses with water, this could cause you to become hyponatremic (low blood sodium) (8). Sodium also helps retain and absorb fluid into the system. Got a marathon question that’s not here? Leave it in the comments below and we’ll get it answered! The Only Truly Isotonic Energy Gel- Does it Matter? Bartlett, J. D., Hawley, J. A., & Morton, J. P. (2015). Carbohydrate availability and exercise training adaptation: too much of a good thing? European Journal of Sport Science, 15(1), 3-12. Atherton, P. J., Etheridge, T., Watt, P. W., Wilkinson, D., Selby, A., Rankin, D. & Rennie, M. J. (2010). Muscle full effect after oral protein: time-dependent concordance and discordance between human muscle protein synthesis and mTORC1 signaling. The American Journal of Clinical Nutrition, 92(5), 1080-1088. Casa, D. J., DeMartini, J. K., Bergeron, M. F., Csillan, D., Eichner, E. R., Lopez, R. M., … & Yeargin, S. W. (2015). National Athletic Trainers’ Association position statement: exertional heat illnesses. Journal of Athletic Training, 50(9), 986-1000. 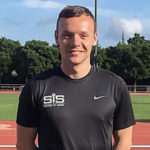 Learn more about the physiological and kinematic (movement) variables associated with elite endurance runners and sprinters. Knowing how to fuel for training versus race day could improve your body's capacity to maximise fuel for energy, we explain how.